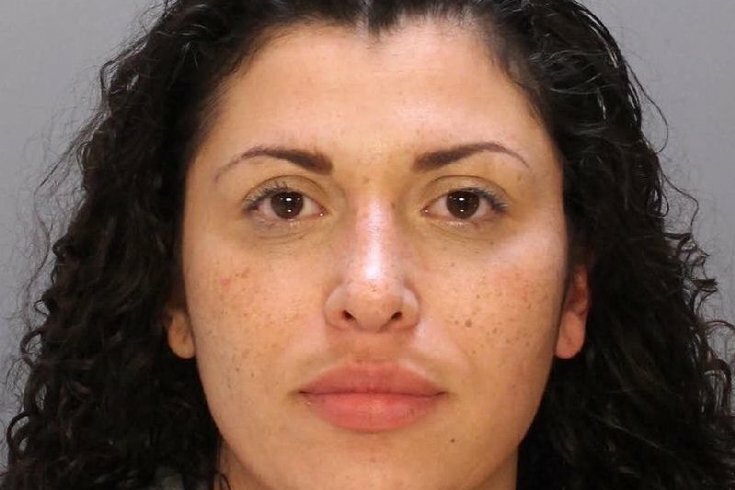 A woman from Philadelphia's Tacony neighborhood has been charged after allegedly attempting to run over a police officer while driving a stolen vehicle. Two officers were in a marked police car around 9:26 p.m. on Thursday, Sept. 9, on the 600 block of East Clearfield Street when they saw a 2004 Jeep Laredo driving toward them going the wrong direction, police said. Thinking the car was going to strike their vehicle, the officer in the passenger seat got out onto the sidewalk. The Jeep drove up onto the sidewalk as well and began coming toward the officer, who in return fired his gun, puncturing the front windshield and striking the driver in the left hand, police said. The operator of the Jeep drove up onto the sidewalk on the 3000 block of E Street in an attempt to flee officers, eventually getting to the 2900 block of E. Richmond Street before hitting a concrete barrier and careening into another police vehicle, according to authorities. The impact caused the Jeep to flip over and the driver, identified as 33-year-old Erika Avila, was taken to Temple University Hospital for treatment. Avila, of the 5800 block of Harbison Avenue, is also known as Erica Lopez, police said. The car she was driving was later identified as stolen. She has been charged with driving under the influence, aggravated assault, simple assault, receiving stolen property and related offenses. No police officers were injured during the incident.